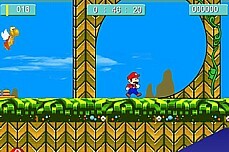 This Mario ATV version has very different graphics and a different overall feel to it than the sequels that would come later (you can play them here just search for ATV). 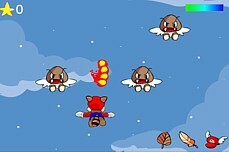 You are given 10 lives to complete the whole game which consists of 10 levels. Each time you tip and crash you must start over minus a life. Collecting the stars is not necessary but just an added bonus. 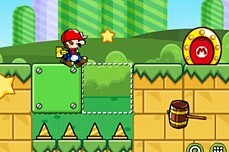 Ride through the 7 original levels without tipping. 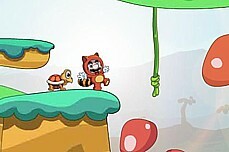 This is a very hard flash game! 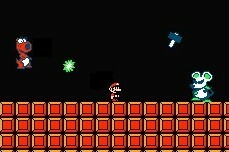 To beat each level, grab the star. 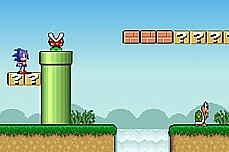 Later levels require some figuring so bring your thinking cap as well as your jumping skills. 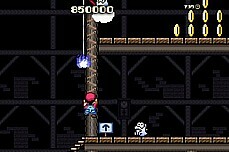 A very difficult vertical climber pitting Mario against hordes of undead koopas, fish bones, bullet bills, and lava! Sonic awakes from a dream one day and then finds himself transported to a strange new world. 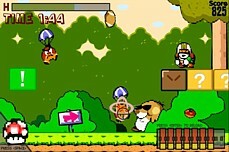 Mario's faithful pal Toad has been captured!! 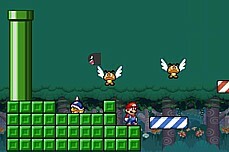 Save him by collecting the hidden star in each of 8 levels. The Rambo Bros are back! 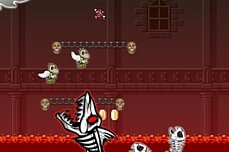 Gun down hordes of mole men, goombas, dragons, and other bad guys in this shooting flash game. 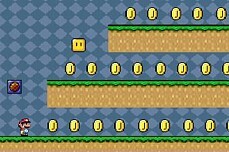 Remember when Sonic got lost in Mario World? Well now the exact opposite has happened! 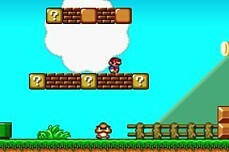 Baby mario is on his very first adventure. He can run fast and jump high but, unfortunately, he still wears diapers. Huh? 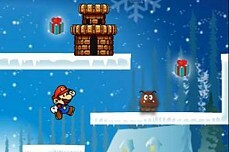 Turn the enemies into snowmen before time runs out. 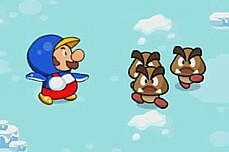 Snowmen can be turned back into enemies so be careful! 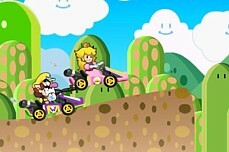 Cruise your way to 1st place on the Mario Speedway. 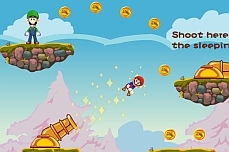 Unlock characters using Mario coins after the race if you win! 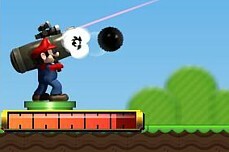 Mario had thought the nightmare was over but alas it was not. 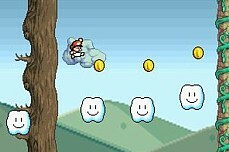 He must once again enter the spooky Ghost House. 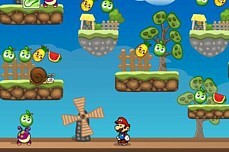 Collect all the fruit on each screen but be careful of the enemies. One hit and you die. 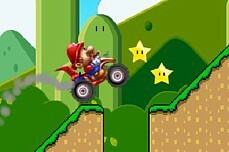 Quickly ride through 8 levels on your ATV. 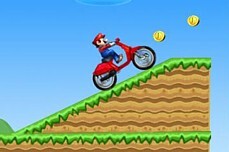 Earn & collect stars to buy better ATVs as you play. 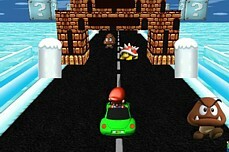 Racing through the streets, this is unlike any other Mario Kart game you've ever played... it's the most Xtreme Kart yet! 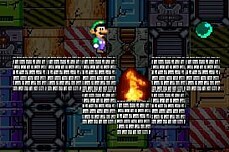 Luigi must reach the green orb on each screen in this platform thriller. 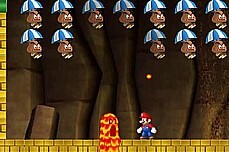 Pits, slimes, and other enemies make it difficult. 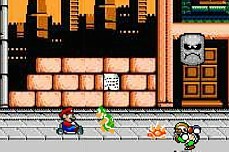 Donkey Kong has stolen some Mario toy robots! Help the robots return to safety as the forest is full of danger! 24 total levels.